Palm Oil Scorecard: Are Brands Doing Enough for Indonesia’s Rainforests? Without looking, would you know how many products in your home contain palm oil? Do you know which products are linked to deforestation? 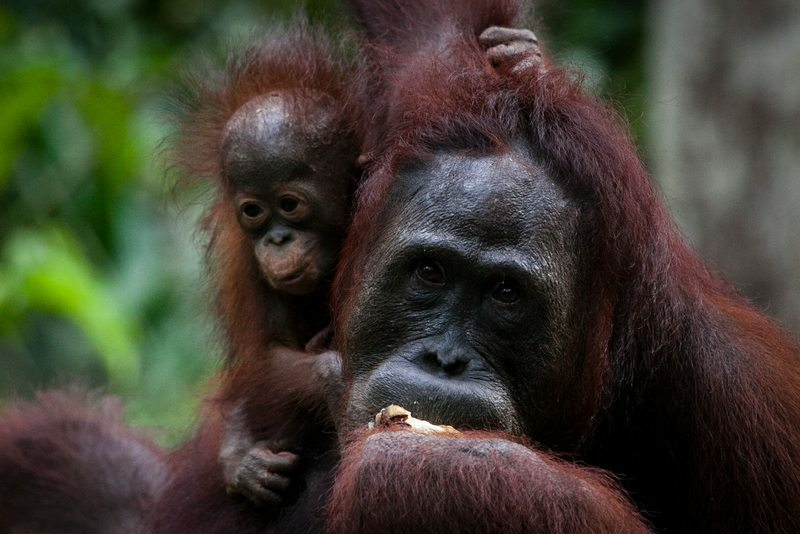 Orangutans in area recently removed from the Tanjung Puting National Park and allocated for palm oil production. Palm oil is absolutely everywhere — from food like breakfast cereals to pet food and even shampoo and toothpaste. Unfortunately, the palm oil industry is a leading cause of deforestation and peatland destruction in Indonesia. Expanding palm oil plantations are destroying precious rainforest — including orangutan habitat — to plant more palm oil and then sell it for use in consumer products. In the last few years, everyday people have spoken up in defense of Indonesia’s rainforests (thank you!) 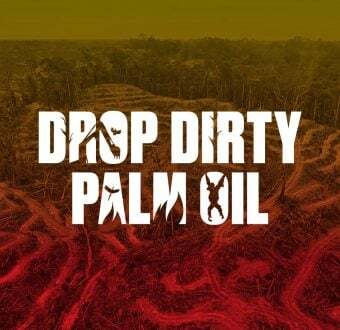 and many of the world’s largest buyers of palm oil have adopted ‘No Deforestation’ policies, promising to buy palm oil that was not produced from deforested land or peat, and is free of human rights and labor abuses associated with the palm oil sector. Now, a few years after these promises were made, deforestation in Indonesia is on the rise rather than on the decline. To hold these brands accountable, we sent surveys to these 14 companies to hear in their own words the progress that they are making to ensure their supply chains are free of deforestation. Click here to share the scorecard on Facebook. Our company scorecard, Cutting Deforestation Out of the Palm Oil Supply Chain, surveyed fourteen global consumer good manufacturers who have No Deforestation commitments in place, including snack food, confectionery and personal care companies. We focused on three main areas. Responsible Sourcing — the practical steps companies take to ensure that their supply of palm oil is free of deforestation, peatland destruction and human rights and labor abuses. This includes verifying their supply to standards higher than the Roundtable on Sustainable Palm Oil. Transparency — how open each company is about what companies, farms and mills supply their palm oil, and their location. Industry Reform — how each company participates in efforts to transform the wider industry. Since the release of the scorecard, we’ve heard from a few of the companies, evidence of the impact of our research. For example, Johnson & Johnson has posted a blog — their first public communication since adopting their policy in May 2014 — saying that finding out who their suppliers is like a game of telephone. But we know this is not a child’s game, and we will keep on these companies until they step up their efforts to source responsible palm oil. TAKE ACTION: Tell brands like Johnson & Johnson, PepsiCo and Colgate-Palmolive to take urgent action to stop forest destruction for palm oil. 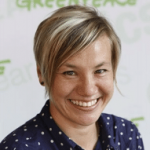 Ivy Schlegel is a research specialist with the Greenpeace USA forests team, focusing on Indonesian palm oil and the markets for forest commodities. Ivy has worked with Greenpeace USA since 2009. 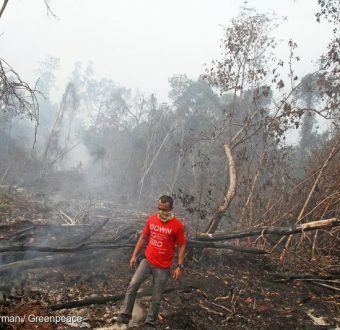 Palm Oil: Who’s Still Trashing Forests? 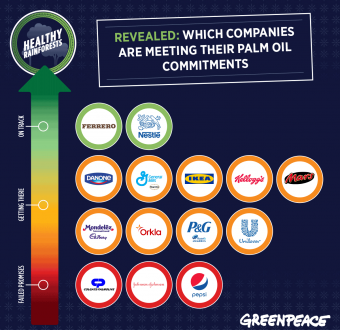 How ‘clean’ is the palm oil used by major brands around the world? Today, we’re releasing the results of our investigation into which companies are keeping promises to stop deforestation in Indonesia for palm oil. Take a look now to see who’s keeping up — and who’s lagging way behind.